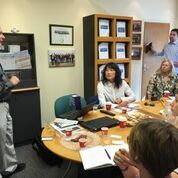 Digital journal entries by Ory Zik, VP of Analytics for Lux Research Inc.
3.9.16 - Our final day started with two hours of individual 1:1 meetings in the hotel with startups that were of interest to participants. We then collectively saw three startups and had wrap-up conversations (which was in front of a beautiful beach, that interestingly enough, happens to be my hometown). Everyone was extremely positive in their feedback and the tour was a great success. 3.8.16 - Day three was the best, somewhat due to Yael’s choice of an enzyme evaluation session (a.k.a wine tasting… in a boutique winery founded by a Weizmann Professor). But that is how the day ended. 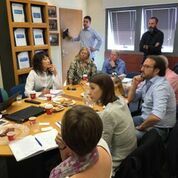 The day started with a review by OurCrowd of their fund and investment opportunities in Israel (they are the obvious partners for companies that are not invested in Israel due to breadth and being stage and domain agnostic). 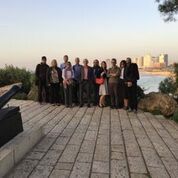 3.8.16 - Then we were off to a startup called Hinoman (alternative proteins) and then a drive to meet the Weizmann Institute to understand their licensing model successes and failures. 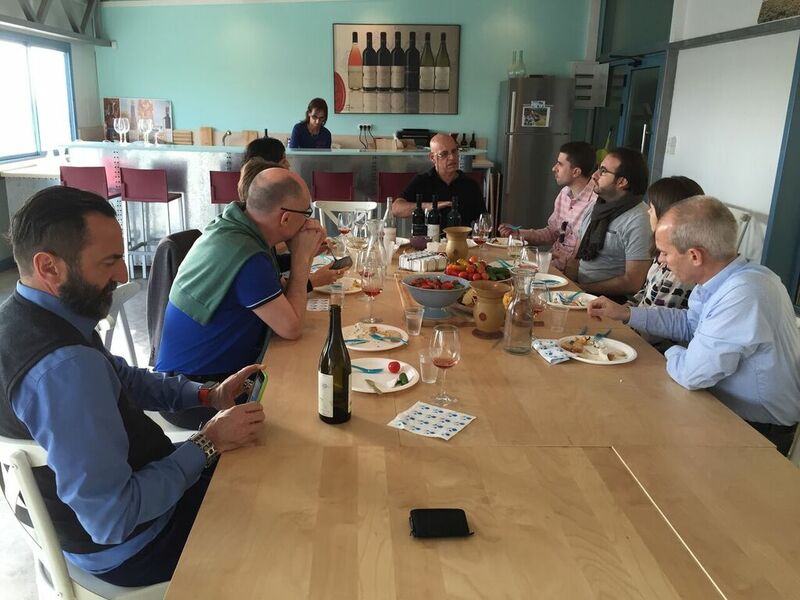 After that we made our way to a startup presentation by Elfi Tech (non-invasive monitoring) and then the wine tasting. 3.8.16 - Wait - there was one more company, Doux Matok (taste delivery – an exciting sugar substitute). 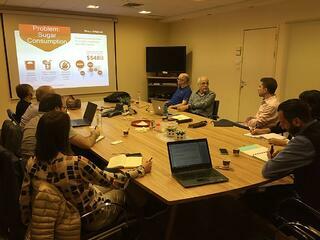 We also had a great dinner along with a presentation by one of Israel’s known angel investors and the tech transfer of the Agriculture faculty of the Hebrew University. 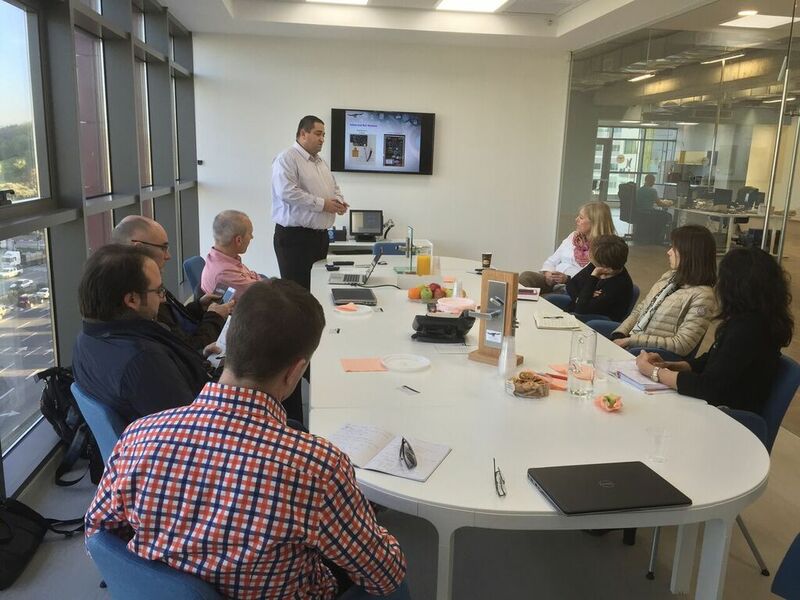 3.7.16 - We started the day discussing the Innovation Lab cost sharing program with the Israeli government’s Office of the Chief Scientist. 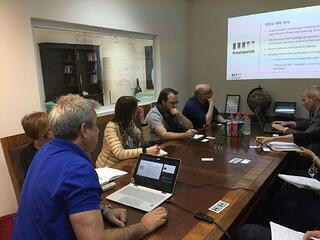 The program is designed for multinationals that are not yet active in Israel and thus very relevant. 3.7.16 - We had a fascinating chance to see Beyond Verbal (big data for emotion analysis through voice). 3.7.16 - We just left the BIRD Foundation (bi-national R&D funding for US –Israeli technology development). At BIRD we saw five startup presentations. 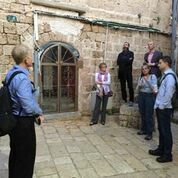 3.7.16 - Today ended with a tour in Old Jaffa and a great restaurant in the Jaffa Flea Market. Day Two of tour was a great success. 3.7.16 - During dinner we explored the question of what are the benefits (or lack of) of seeing those startups versus reading reports and talking on the phone (is it worth the time and money)? This was interesting to ask especially since we had five companies and selected 20 startups, so we had an inherent mismatch of some cases. There is no replacement to personal interaction. Highly valuable and surprising. What you think of a company before seeing it is very different than after. Having a Lux profile of all companies visited is of great value. There is a benefit seeing companies in different domains (cross-pollination effect). Jet Blue saw material science companies and DSM saw voice recognition companies and both felt that it was incredibly valuable. 3.7.16 - Here are some of the images (below) from today's incredible tour activities. 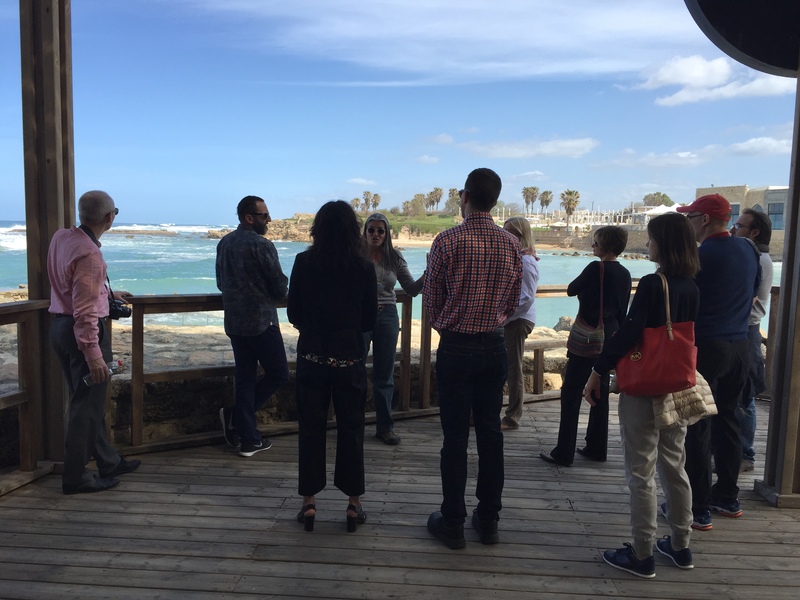 3.6.16 - We started the day with a tour to the old city of Caesarea (2,000 old innovation in water and sustainable building materials). 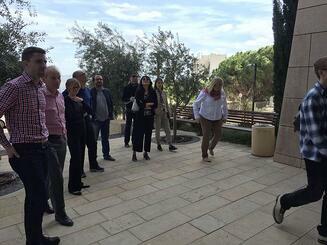 Then we drove to the Technion (going through the R&D centers of Google, Microsoft, Intel etc). 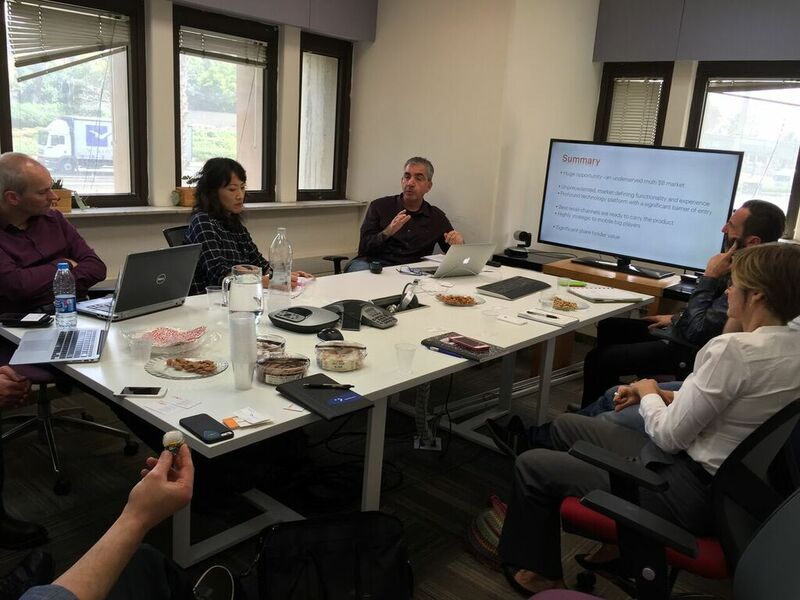 3.6.16 - Had a great three hour presentation by Technion incubated startups and a deep dive discussion on licensing with the head to the Tech Transfer Office. 3.6.16 - Drove to visit Freshpoint (super relevant—food stickers that integrate temperature for food expiration) and WiseSec (what can your phone do through Bluetooth?). 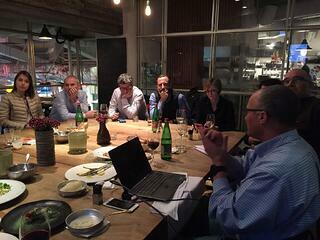 3.6.16 - We just finished with a fabulous, multinationals dinner and an engaging and in-depth roundtable discussion with VC veteran Yoav Cheloush focusing on the local innovation ecosystem and ‘mean’ manufacturing (not the conventional lean) … with insight from SAP on corporate vs. startup mentality and other considerations of multinationals with R&D in Israel. 3.6.16 - Here are some of the images (below) from today's tour activities. It was a great and information filled day for all. On a per capita basis, the world leader in: start-ups, exits, NASDAQ traded companies, academic papers, technology licenses, etc. Following Israeli activity is specifically vital in the Information Meets Matter area as Israel is a hub of leading start-up companies that span across sensors, connected objects, data platforms, and cyber security. This diversity is somewhat mystified under the name IoT (Internet of Things). The tour is designed to demystify the large IoT area into concrete tangible technologies that make business sense, and introduce the start-ups that commercialize those technologies. It is built through the lens of companies that would like to learn from the experience of other multinational companies that already have an R&D presence in Israel. 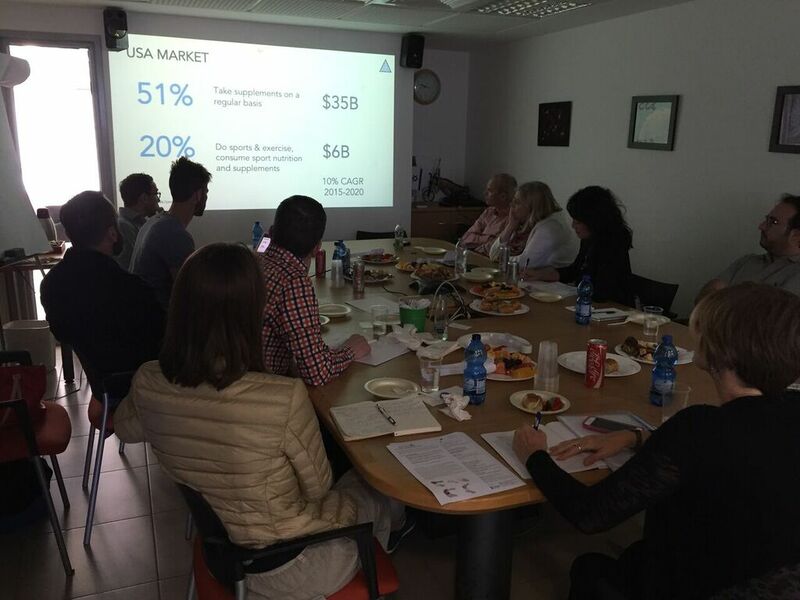 The Lux Research Innovation Tour to Israel will connect 25 senior executives from corporate strategy, technology scouting, new business development, and venture capital functions to Israel’s most successful innovators, investors and entrepreneurs active in the IoT space. 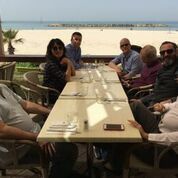 The itinerary includes meetings with Israel’s top industry leaders, sharing the experiences of multinational companies that have built R&D centers in Israel, as well as meeting policy makers, technology incubators, and technology transfer offices. The agenda reflects 4+ days with the most inspiring of potential start-up partners. 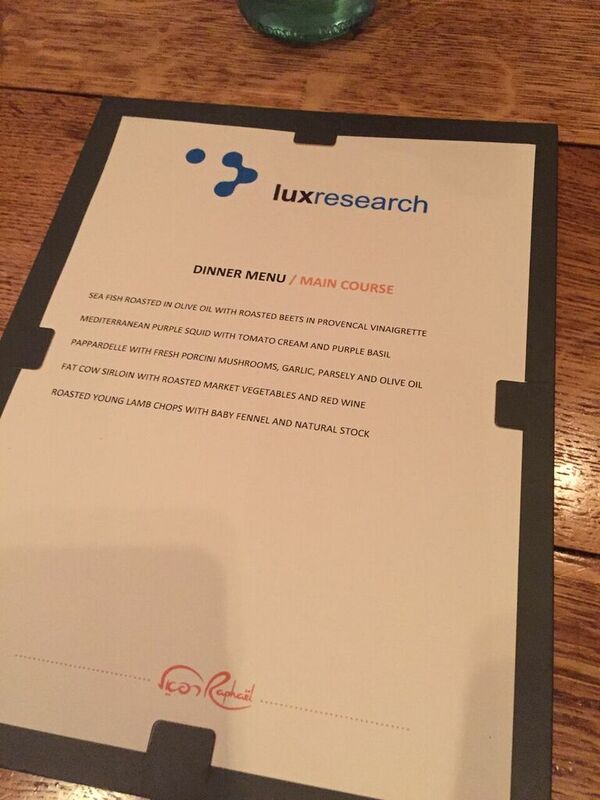 Contact: Carole Jacques | Director of Marketing | Lux Research Inc.
<- Go back to Lux homepage.